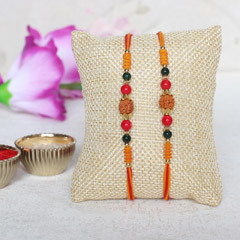 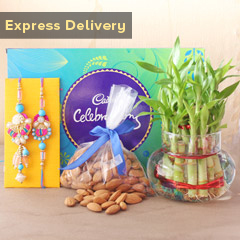 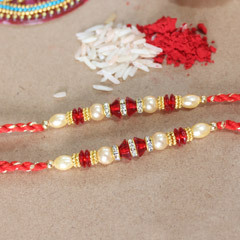 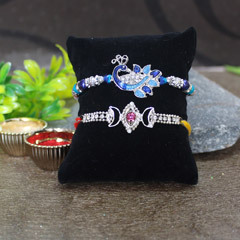 Here comes a wonderful Rakhi set for you to make choice for. 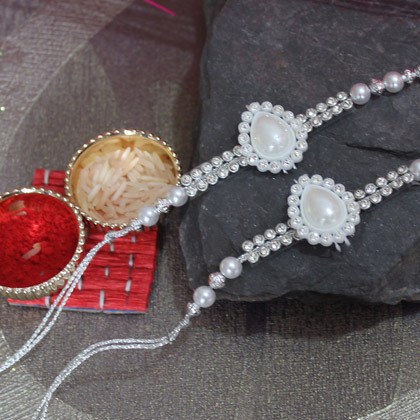 Both the Rakhis are inspired from the elegance and beauty of pearl jewellery. 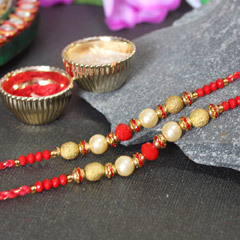 Thus, the use of pearls, sparkling stones and water drop shaped pearly bead in the middle is making these Rakhis from this set a beautiful choice to impress your dearest brothers.